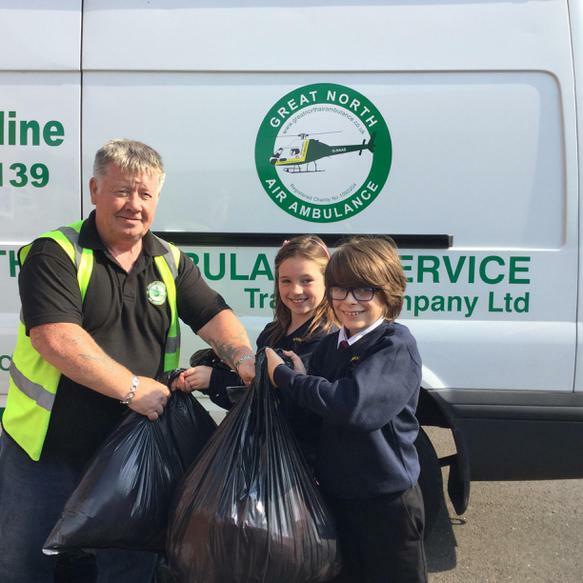 The head boy and head girl handed over our collection of old school uniforms for the Air Ambulance Service. 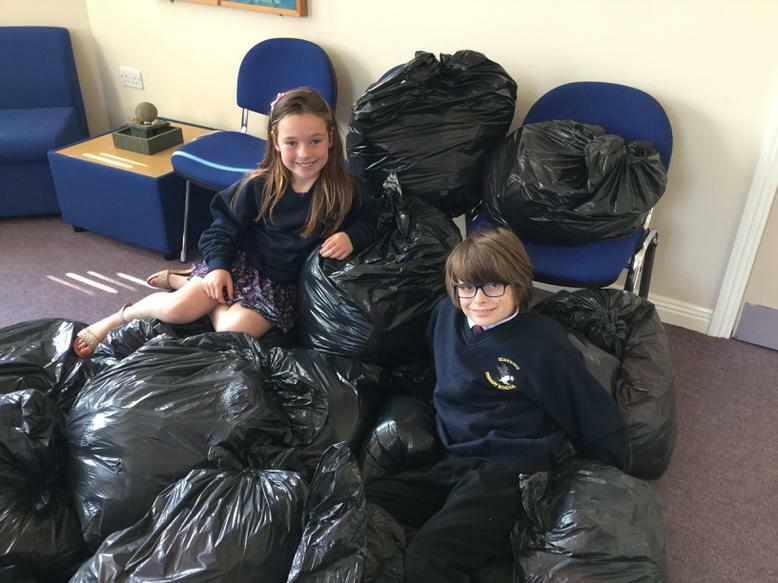 We had over 20 bags! - A big thank you goes to Miss Patterson who organised this great event for the charity.